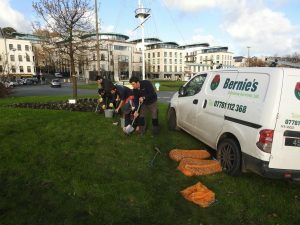 It was a hectic time for the team at Bernie’s Christmas break when we completed some work for a joint project by Rotary Club of Guernsey, Rotary Guernesials and Gardening Services before our Floral Guernsey. Our team planted a huge 35,000 purple crocus corms (which wer sponsored by Appleby) to help raise the profile of the Rotary International End Polio Now campaign. 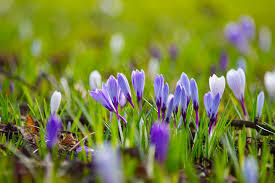 The bulbs will create a truly stunning display in the early Spring at the Weighbridge which is now home to over 50,000 crocus corms. Part of the beautiful Iris family, the flowering plants can also be seen throughout the island in herm, Sark and Alderney. Read a testimonial of the work the team completed. along with other reviews of the work Bernie’s Gardening Services team have done.